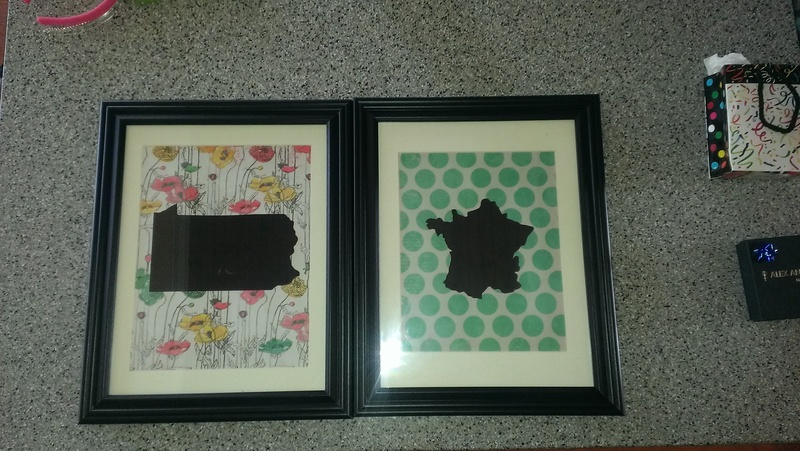 Home is where the heart is… or what you cut out of card stock, stick on to some scrapbook paper, and put in a frame! – Move Over Martha, I'm Here! 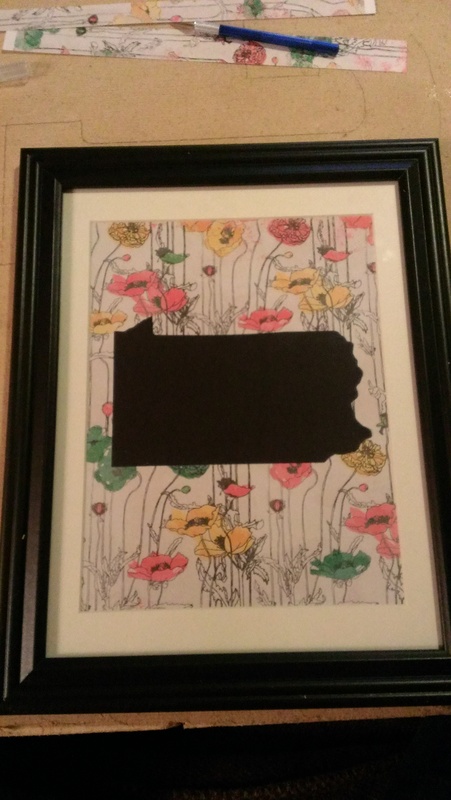 Home is where the heart is… or what you cut out of card stock, stick on to some scrapbook paper, and put in a frame! Ok, so OBVI (don’t judge, I love to speak in abbrev lang) I’m obsessed with Pinterest. And crafts. And baking. And just in general being amazing. Wait, I digress. Crafting. Right. What I love about crafting is making special gifts from the heart. Making something truly meaningful for a special friend. Making them something they couldn’t buy in a store (but maybe they could find on Etsy... but I think you get the point.) Anywho, I have a dear friend who lives in London, by way of Paris, originally from outside Philadelphia, more specifically, the same neighborhood I grew up in! She was going to be in town for a few days and we were surprising her with an early birthday brunch. As soon as the planning begun, I knew what I was “getting” her for hear birthday. So, I headed over to Michael’s (my boyfriends least favorite store ever since my “I’m running in for 5 minutes” actually turns into an hour and him napping in the car) and grabbed some frames on sale (because people, this place has some awesome frames for sale ALL THE TIME!!! and ALWAYS has coupons online – 40% off one item and 15% off total purchase today – have them sent as a text to save paper and the environment please!) 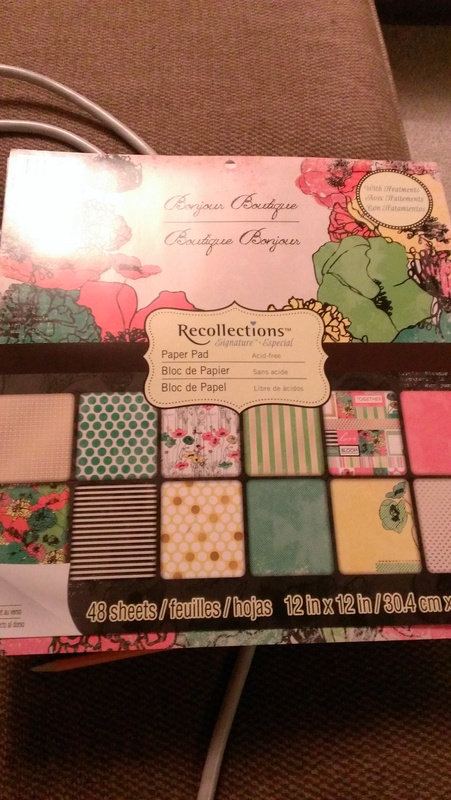 I found this AMAZING (my second favorite word behind literally) book of scrapbook paper from Recollections (see the photo below), bought some simple black cardstock and was on my way. I googled “Outline of France” on my tablet, and used some tracing paper to create the outline. 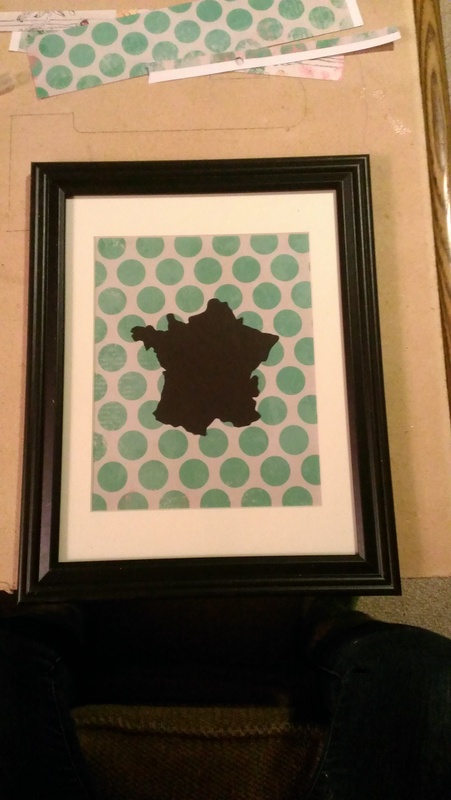 I put the cardstock behind the tracing paper and snip, snip snip (OK, it took me a few tries to get France looking good…) Voila! I had my outlines. A little double-sided tape (I prefer Scotch brand products. I’ve tried the generic ones, and it’s just not the same). So, there ya have it. 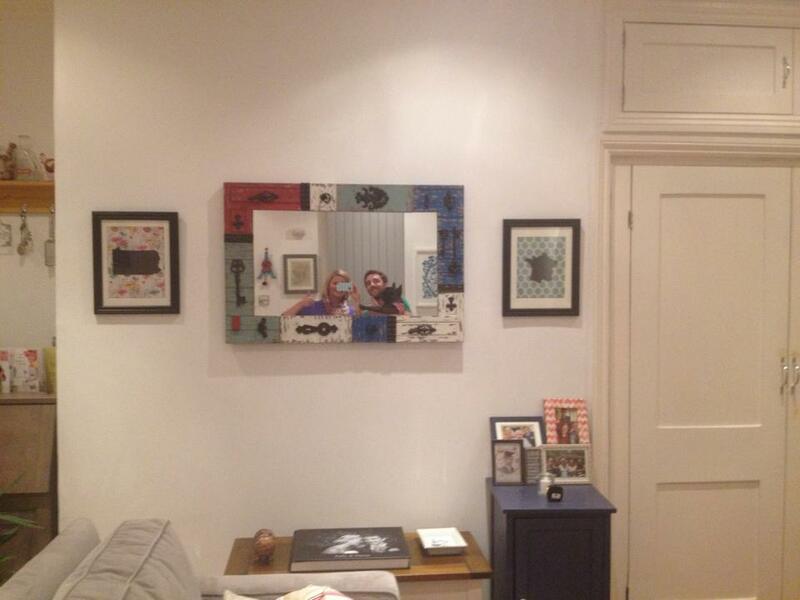 Pictures are below. And I’ve already got plans to make some for my mom (PA and LA as housewarming gifts after they abandoned me and my sisters for warmer weather) and another set for my future MIL (Germany, PA and FL, as she’s one well-traveled lady). Happy Crafting!